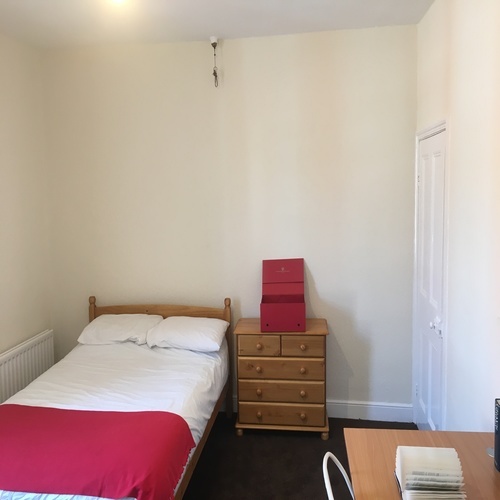 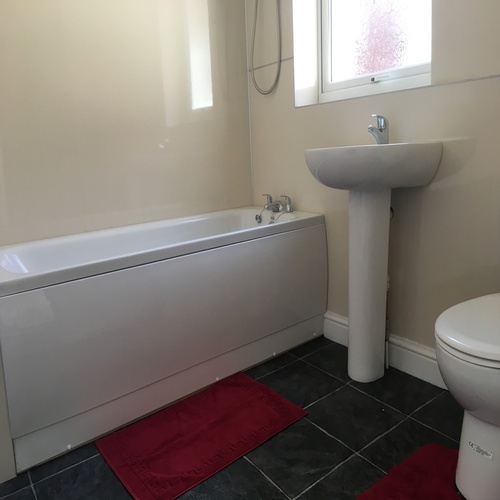 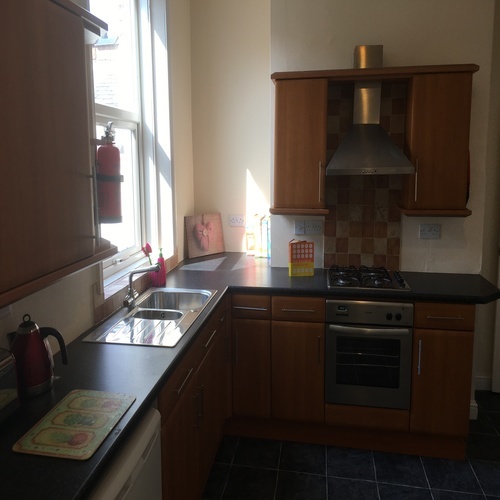 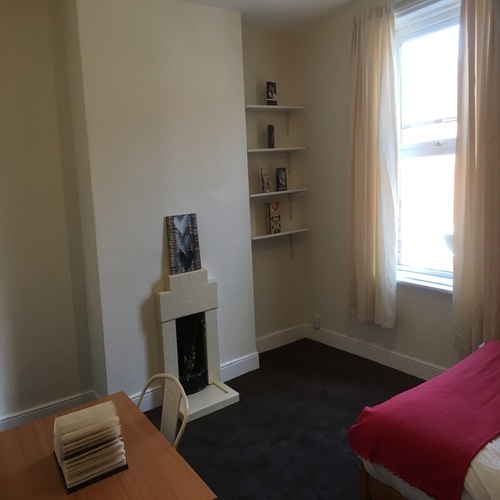 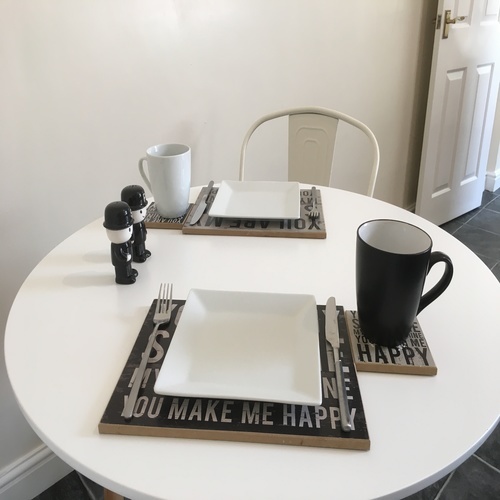 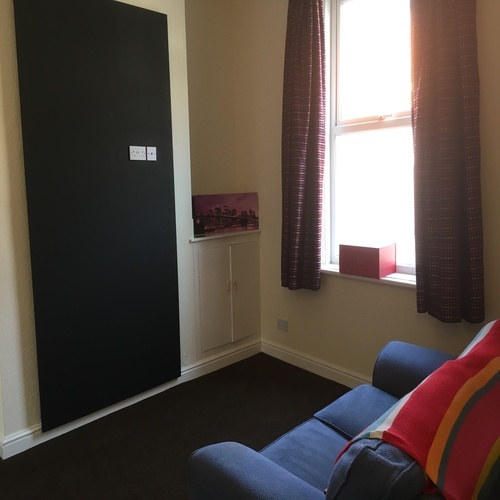 This recently refurbished, fully furnished two bed terrace is within five minutes’ walk of the Fusehill St Campus of The University of Cumbria and comes with combi boiler gas central heating. 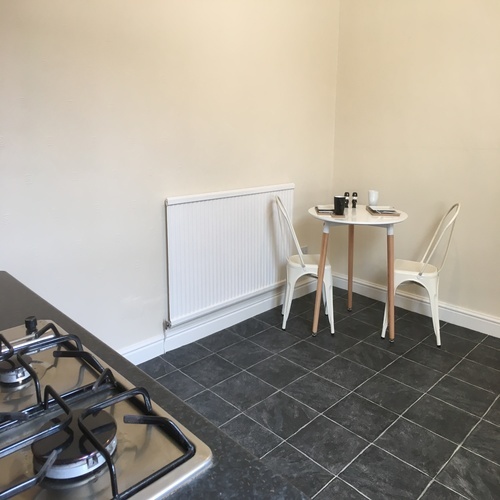 The kitchen (vinyl flooring) features a fitted kitchen, dining table and chairs, an electric cooker, gas hob, under counter fridge. 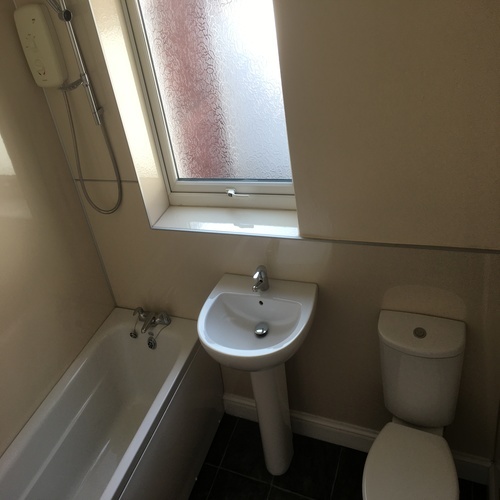 At the backdoor vestibule there is a washing machine and a chest freezer leading to the bathroom (vinyl flooring) sporting an electric shower over the bath, hand basin and WC. 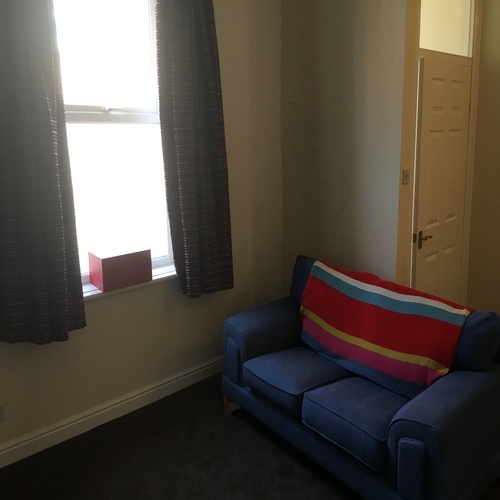 The good sized living room has a fitted widescreen TV and sofa and comfy chair. 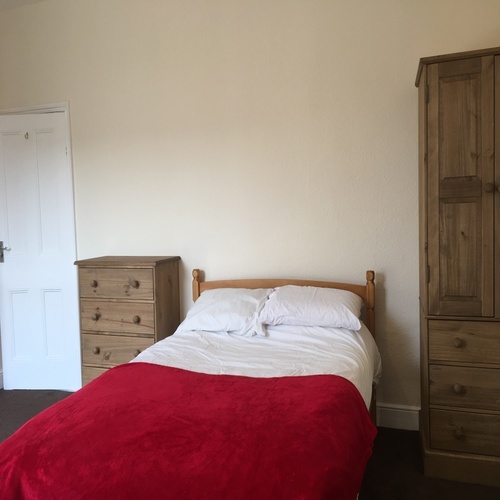 The equally sized two first floor double bedrooms, featuring period fireplaces, are both furnished with pine double beds, wardrobe space, chest of drawers, notice board, shelf, TV point, desk and chair. 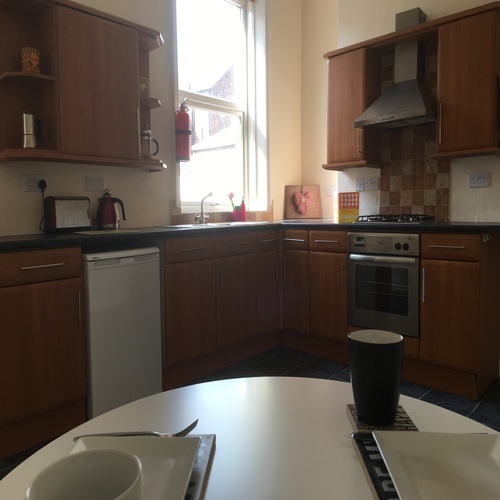 The backyard is a bit of a suntrap and has a picnic table.